Gypsy jazz resources for bassists? I never see any method books, tips, instructional material or even youtube videos geared towards helping bassists get the right feel for jazz manouche. 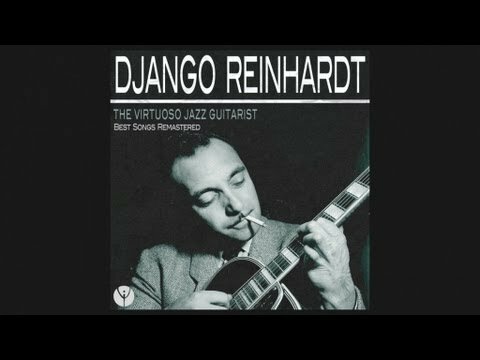 Given that the bass is notoriously hard to hear on some old Django recordings, I often wonder if there is a bit more help out there for us low-enders wanting to play this style. Thanks for any input! If what you're interested in is the old style, there are apparently a bunch of string bass methods by some of the old-school American jazz bassists that would be relevant. There are a few good shots of Louis Vola in the Hot Club J'attendrai video that give a good insight into his technique, and some good video of guys like Pops Foster and Milt Hinton around on the net. A guy I play with has mentioned one particular method book that dealt specifically with that old stuff - can't remember who off the top of my head, but will ask him. There are a couple Bassist forums around, I think. I've seen some useful stuff on this forum, though. I've met some guys who are classically trained, and some self-taught guys who either read off Real Book charts or don't read at all. Bon chance, we need good bassists! @Adam Crofts the method book that my friend was talking about was Bob Haggart's. It seems to be out of print, although you can find extensive samples of it through a google search. Looks pretty good, and has a discussion of slapping. Thank you gentlemen! Great information here. At the Grappelli-Django Camp in Holland in August every year, organised by Tim Kliphuis we actually do specific double bass classes, dedicated to the gypsy jazz style. It is very inspirational. Online Arnoud vd Berg has a great instruction video. If you are ever near Victoria B. C. take a lesson from Joey Smith. He has played with Mark Atkinson, plays with Quinn Bachand's Brishen, has decades of bass experience in all styles. The bass player in my band Swingsation takes lessons from him as do a few working jazz bassists I know.